Cutoff pants displaying a bulging calf? Sleeveless T-shirts showing off a well-muscled physique? 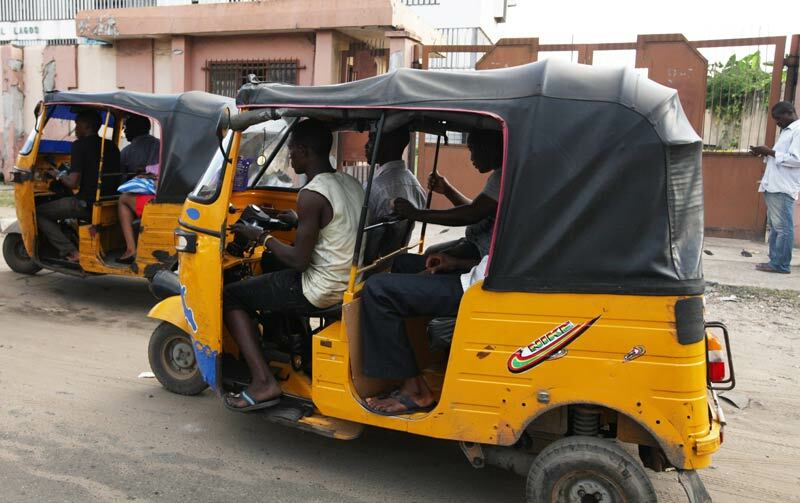 Forget it in Nigeria’s northern Kano state, where Islamic police are deploying thousands of officers to arrest anyone sporting the “indecent dress” that’s fashionable among young men driving motorised rickshaw taxis. Police also have orders to arrest any cabbie carrying men and women together in the confined space of the three-wheeled taxis. “The way and manner some of the commercial tricycle operators engage in indecent dressing and carry men and women together is disturbing,” said Yusuf Yola, spokesperson for the Hisbah board that is responsible for ensuring compliance with Shariah laws in Kano. He said such dress, with pants cut off just below the knee like Bermuda shorts, also was “un-Hausa,” referring to the biggest tribe in Nigeria’s north. Usually it’s women who are the target of the Islamic police checking that they have properly covered their heads and limbs. He said officers have orders to stop and search to make sure everyone obeys – including Christians. Nine of Nigeria’s 37 states have introduced Shariah law since 2000 as some Muslims have become more fundamentalist. But the law is interpreted differently and enforced more rigidly in some states. Three other states introduced Shariah law, but only for Muslims who want to use it as an alternative to Western-style family law. The rest of Nigeria is under secular law. Africa’s most populous nation of more than 160-million people is almost equally divided between Muslims and Christians.